Here’s the thing: engineer out potential problems if you can. If you don’t use an oil to water heat exchanger, cooling water can never contaminate the oil. If you don’t install pump intake isolation valves, the pump will never be started with the valve closed. And if you don’t paint the inside of hydraulic tanks, the paint can never come off. Oh sure, all of these thing can be done in such a way that the risk of the worst case scenario happening is minimized. You can specify a double-walled oil to water heat exchanger. You can install proximity switches and interlocks on pump intake isolation valves. And there are paints specially formulated to withstand contact with the myriad of different hydraulic oils out there. Although as far as I’m aware they don’t come with a guarantee. Like I said, the worst case scenario is minimized, but NOT completely eliminated. The risk remains. And why should you need to paint the inside of a hydraulic tank anyway? Think about it for a moment. How many other hydraulic components are painted internally? None. Zilch. Nada. So why don’t these components rust? Because the hydraulic oil is formulated with rust inhibitors. But the hydraulic tank is different, right? I mean water settles to the bottom and air circulates in the top. Well, make sure the tank has a drain point – and see that it’s used. And if you install a desiccant breather, rust on the inside of the tank’s air space will be minimized, if not eliminated. And so what if a bit of light rust forms on the inside of the tank anyway? Aside from not looking real pretty how bad can it be? It will likely make a small contribution to contamination load – probably in the sub 5-micron range. The filters will soon take care of this. And unless it’s a critical system with servo valves, arguably no real cause for concern. 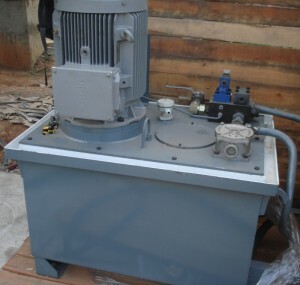 I’ve designed and built hundreds of hydraulic power units. And never painted the inside of a single tank. In some instances, I’ve actively discouraged it. I’ve also worked on many hundreds more built by others. And I’d guesstimate less than two percent of those had the inside of their tanks painted – some successfully and some not. Either way, I’m yet to see any evidence that leaving the inside of a hydraulic tank unpainted is detrimental to the system. But as this hydraulics user found out the hard way, painting it can be. Especially if you don’t do your homework first! And to discover six other costly mistakes you want to be sure to avoid with your hydraulic equipment, get “Six Costly Mistakes Most Hydraulics Users Make… And How You Can Avoid Them!” available for FREE download here.